My April 2014 online income report is my next to last income report I will create while working for someone else. As of today I only have four more days left of working for somebody else. Then I will be working for myself and believe me the journey to get to this point was well worth the time and effort spent. A week after my birthday in April I submitted my resignation from my job. In America it is traditional to give a two week notice before leaving a job. I gave slightly more than a six week notice. Now that I have time to look back on it, I have to laugh at what I went through to quit a job. Recently they moved the three project managers on our floor to an office down the hall that use to be a psychiatrist office. I now have to walk down the hall to where everybody else in my department is located. On five different occasions I walked over to my manager’s office only to find she was not in. Finally I asked her executive assistant when she would be back for me to talk to her. She said her schedule was booked but come back little before 2 and I might have a good chance to catch her before her next meeting. I came back and she was busy in her office with somebody else. I asked the executive assistant what the schedule was like. Her assistant said that she was waiting to talk to her next because she was not feeling well and was going to go home. If I missed her in the next couple of minutes it would not be until 4ish before she might be free again. The executive assistant asked what I needed and I just told her that I wanted to quit. She thought I was joking. I told her to text me if she was available. Around 4ish I got text saying run over now because Kim was running to a meeting at 4. I immediately got up and walked down the hall. My manager was standing in the hall waiting for the elevator to go to her meeting. I walked up and asked if I could talk to her. She said she was going to a meeting and asked what was up. I told her that I just wanted to quit and that was all. Amazing in that she actually turned around and we walked back to her office to talk. I told her I was leaving at the end of May which would give plenty of time to complete the projects I have been working on. It is amazing how much effort it took to quit my day job. Anyway as I write this post I have just four more working days left. The journey to escape the rat race has taken me several years. I have dedicated much more of my time the past two years on building online income. Prior to that I spent time “wanting” to learn Internet Marketing but I really only made a half-assed attempt at it. Once I started seeing some results then I started putting more time and effort into the journey. I can only kick myself because if I had dedicated the time and effort from day one then my escape from the rat race could have happened 2 to 3 years earlier. So don’t make this mistake. In April I had a killer month in terms of online income. I say that because I was able to tap two new streams of income. That is always exciting to see results from trying something new. 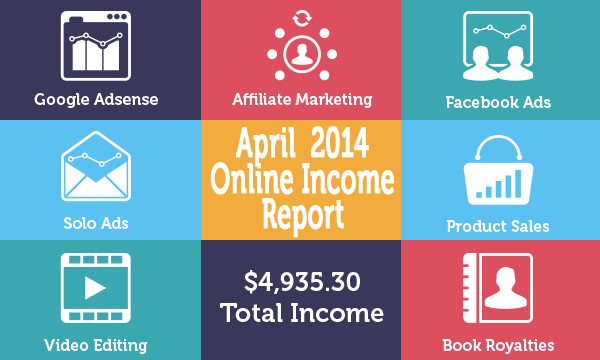 Here is my breakdown of my April 2014 Online Income Report. My books on Amazon just keep producing money each and every month. I absolutely love this income stream simply because I do zero work to generate it each and every month. I wrote these books almost two years ago and published them on Amazon. Now each month when I write my online income report I go and get the figures for how much they earned in Kindle and print format. That is the extent of time that I spend on my books is just checking the monthly income numbers. I checked this morning an my book royalties generated $54.40 in income for April 2014. This is a brand new income stream that just happened to occur but only after I put in the time and energy to learn about video. I work in the training department for Aaron’s. Aaron’s has 2,135 store in US and Canada. We have over 10,000 associates working in our stores. Every associate is required to complete a prescribed set of training courses that cover what they need for their particular position in the store. These training courses are delivered online through a learning management system. Each course consists of a series of animated slides with one of our trainers talking in a side window. We have to video shoot the instructor for each slide in a course. Then we have to edit the video. Then we have to insert the video into the slide and then produce the finished course. Video is one method people use to promote their products or other products as affiliates. You better believe I made an effort to learn video since we do so much of it in our work at my job. I work with a guy that has been doing video for 22 years. I have picked his brain to learn everything I could. A year ago the two of us took the video we created from all three of our trainers teaching all of our foundation courses and we then converted all of the live courses to self-paced training. In one month I got more hands on video experience than most people will get in a year or two. I made good effort at learning everything and then applying it. Now I can actually run the camera for a shoot, edit the video, do transitions and add intro and outro as needed. A good friend needed to have some video shot and edited for the very small company that he worked for. He reached out to me and we worked out an agreement where I would edit the video for them and create a custom intro and outro for them. They needed to have a video completed and I quoted a cost of $150 to complete everything for them. They agreed and I did the video editing for them and gave them the completed video a few days later. The company was very pleased because my rate was pennies compared to the quotes they were getting from professional video companies. Overall I ended up editing a total of 3 videos for this company during April. This was a win-win scenario. The company got 3 quality videos edited for under $500 and I was able to make some extra pocket change by applying the skills I learned from work. It took me only about 2 hours per video to create so it averaged out that I was earning around $75/hr for the work. In April I earned $450 from video editing. There is nothing more satisfying than checking your email and getting a notice that money has been deposited into your PayPal account because somebody purchased one of your products. It is a wonderful feeling to read those emails. As soon as I am out of the rat race I am going to work on building more of my own products. It is very satisfying to know people are gaining knowledge because of something that you produced. In April I earned $374 from sales of my product. I continue to do things with solo ads. My only regret is that I have not spent the time that I need to build up this income stream. One of the ways that I thought would be promising was to be a solo ad reseller. I did an in-depth review of Solo Master Pro and showed the results I got from their service. It appears that Solo Master Pro didn’t like the report I wrote about their service and they terminated my affiliate relationship. Now exactly a professional way to run a business in my eyes but they can do what they want. It reminds me of the kid at the playground that didn’t like things so he takes his marbles and goes home. Soon I will be writing another followup on Solo Master Pro showing the exact results and having verification that my results were correct. Lately I have been reselling solo ads based on lists from others that provide a much more quality result that I got with Solo Master Pro. As a result in April 2014 I earned $225.25 from Solo ads. Adsense is another income stream like book royalties that produces income each month with no work involved on my part. Right now I am only monetizing my niche iHvacZone and Invest in Real Estate 101 websites with Adsense. Even with just these two website I earned $5 in Adsense last month. I will repeat it yet again this month by saying that I got started with Internet Marketing by promoting other people’s products as an affiliate. If you want to get started this is a great way to get started. Recently I have been tinkering with the combination of Facebook Ads to a squeeze page to generate a list and then promoting an affiliate product on the landing page. One of best ways to improve your conversion on your squeeze page is to use LeadPages. 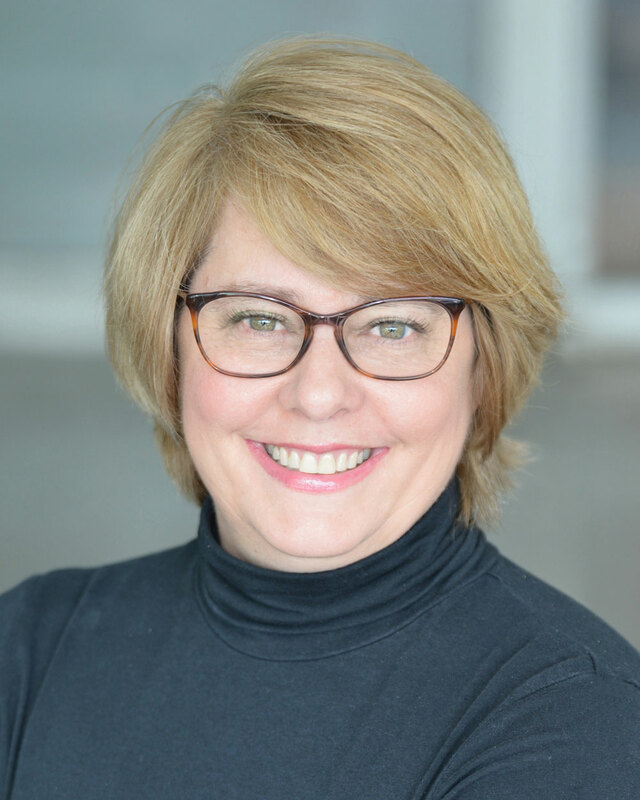 LeadPages is a paid product so for some people it may not be worth paying for the cost. Everyone that I know that uses LeadPages raves about the higher conversion rate they get with the product. I purchased the yearly deal for LeadPages and have been using it on my squeeze pages. I will be writing a future post showing my results with LeadPages. But to give you an example of what you can do with the combination to product a product as an affiliate. You can run ads on Facebook that go to a squeeze page. You offer people a free report on self-motivation to improve themselves. Once they opt-in you send them to a landing page where you promote an affiliate product on personal development. I am promoting this personal development product right now. If you want you can purchase this self help product yourself and then customize it and brand it. Then you can start selling your own customized product yourself and get 100% of the profits. Just to give you an idea of another way to make money off of this product besides being an affiliate. If you are not sure how to use Facebook Ads to promote affiliate products then check out my previous post showing you step-by-step how I am using Facebook Ads to promote affiliate products. In April I earned $2,487.25 with affiliate marketing. I mentioned above one way that I am using Facebook Ads and that is to promote affiliate products. I am also using Facebook Ads to build my own list by sending people from my Ad to a squeeze page. I am going to start marketing directly to the list that I build to generate income. I am working my way through Donald Wilson’s Ads Cracked Reloaded course. Once I leave my job in a week then I will be spending all day going through this course and implementing what I learn. In April 2014 I earned $1,339.40 from Facebook Ads. Here is a breakdown of my Online Income for April 2014. Congratulations — you really did it. Have been reading about you on Matthew Woodward’s blog also. Glad you found me from Matthew’s website. Thanks! I am excited about the possibility once I leave my job. The feeling of getting close to your last day in the rat race most be unique. I’m glad you’re almost there. Congratulation. Never thought that getting to quit could be so difficult. Funny too. I’m starting with Adsense so seeing somebody else with a $5 month do encourage me to keep going. I’ll keep coming back to your post as you’re down to earth person and help not only me but I know helps other followers too. Did not see any expenses, did you have any? I agree it was a “challenge” to quit my day job. Thanks for reading. Congrats Jennifer. I like the way you have broken it down so we can see exactly where and how you have made your income. I remember when you found me from Tiffany’s website. I appreciate you reading about my journey. Great report and congrats on a solid month. I was wondering on your Facebook Ads — have you ever come across an instance where you were charged more than what you’ve budgeted each month? I’ve set a budget on mine ($5 a day) but constantly turn-off my ads out of fear that by the end of the month, Facebook will charge me more, since I’m seeing different amounts on the “spend” column that doesn’t add up to my budget. Any insights on this? Thanks. I have never had an issue where Facebook charged me more than my daily budget. Perhaps if you are running different ads with daily $5 budget then it is spending up to $5 per ad and not a combined total of $5 per day for all ads. Thanks Jennifer for the reply. So do you think I should just be running one ad campaign, if my daily budget is $5? Facebook has options to run 6 different ads, but I’m not sure if that’s for one campaign or 6 campaigns? Today I created 3 separate Campains that have a $25 daily budget. Each Campaign has 1 ad set and 1 ad. If all 3 spend their entire budget then it will cost me $75 or $25/ad x 3 ads. I would recommend evaluating your ad after a few hours like 6 or 12 hours or even sooner if you are getting lots of action. For example the first ad I started today was designed for male & female between ages of 21 and 49. After 2 hours I notice that about 80% of my traffic is coming from age 21 to 32. This afternoon if that stays consistent then I will modify my ad and change age from 21 to 49 to be 21 to 32. Your blog is a source of inspiration for niche bloggers like myself. I love the way your video editing project turned out, and the fact you’re a true “multiple streams of income” Internet entrepreneur. Thanks for the feedback. After I leave my day job I am going to be hustling to make sure I have more than enough income streams to live off of. I am working on a detailed multi-part post on doing facebook ads. I will consider adding expenses to it. Though if you read my post on how I used facebook ads to promote affiliate products I show my exact expenses, income and profit. Wow now this is an inspirational post! You must have been going up the walls waiting for your well-earned freedom after you handed your notice in! I remember doing something similar a few years ago and the last few weeks were amazing. While I was desperate to really go “full time” in my online business I also found that I somehow “switched off” all the negative emotions about my job simply because I knew that no matter what cr*p they tried throwing at us, I would b out of the door soon enough! Those last few weeks were actually some of the most enjoyable of all! I was amazed at how negative some of my co-workers became when I announced that I was leaving and they learned that I was not going to be working for someone else. It was a tough couple of weeks for that reason. But now that my last day was Friday I am so relieved and excited about the potential my future holds. Congrats on taking this big step! Judging from how much you’re killing it right now with your online income, you did the right thing. From now on, things will only go up and I am really interested to follow your journey. I agree that things will only go up from here. Congrats on escaping the ratrace yourself. It is a great accomplishment. I found your site while I was googling on ‘Teespring, facebook’ and lead to you via that post of yours about the lessons you learnt. I am so happy that I found here. I have read a few blogs on ‘passive income’ such as Pat, Spencer and a young lad ‘Tung Tran’ (BTW his cloudliving is very good) and I liked yours most so far. I am eagerly reading through your posts and they are all informative and inspirational. I read one of your post about your morning ritual (I really admire you getting up at 4:45am, I could not do that yet but make up my mind I will get up 1 hour earlier from tomorrow. What time do you go to bed, I wonder) and writing down things you need to do. I wrote on a note at work that I am going to comment on your post tonight and now I am doing that. Despite being a software developer for quite long time, I only heard about this internet marketing thing around two years ago, I read some stuff about it but haven’t really taken any action yet. You are my inspiration, I hope I can really start doing something, and you are my perfect model. I rarely comment on internet so far, and I stop here for now and looking forward to your next post. Glad you found my website. It took me two years to get to where I am now. In the evenings I usually go to bed about 10-11PM. While I was going through it, at first I thought “oh, no, another solo ad millionaire” 🙂 but you gave me back beliefs in humanity when you wrote that most your income is from Affiliate marketing. FB-squeeze-offer kind of worked good for me too. Until Facebook changes its policy again, haha! But if you don’t want to share it, that’s cool too! Good feedback. I will consider adding expenses in the future.